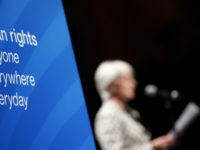 The Bell playbook for its website blocking proposal has largely followed a familiar narrative. 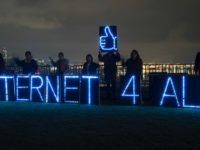 Much like the “Fair for Canada” campaign in 2013 that was designed to convince Canadians that keeping foreign competitors such as Verizon out of the country was in their best interest, the FairPlay Canada campaign similarly tries to make the case that a coalition of supporters want the CRTC to institute website blocking without court orders. The campaign clearly starts with Bell: they first raised the issue in September at a House of Commons committee hearing, obtained the legal opinion to support the application (it is addressed to Bell), and used a closely allied law firm to draft the application. Having discussed the importance of fair dealing for creators in yesterday’s post, today’s case looks at the link between freedom of expression and fair dealing. A recent case involving the Vancouver Aquarium placed the spotlight on how fair dealing can be used to safeguard freedom of expression, even when (indeed particularly when) a rights holder may prefer to use copyright to block the expression. In 2015, two film makers created a documentary on the Vancouver Aquarium called “Vancouver Aquarium Uncovered.” The film, which can now be viewed online, focuses on whales and dolphins in captivity. 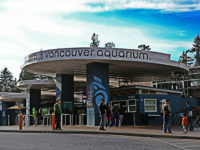 The Vancouver Aquarium filed a copyright infringement action, seeking to have the documentary removed from all public viewings and the deletion of photos and video clips shot at the aquarium. Fair dealing debates often focus on education-related issues, but its role as a user’s right extends far beyond the classroom. As part of fair dealing week, I’ll be posting on several cases that highlight the importance of fair dealing for many other purposes. For example, last year an Ontario case highlighted how fair dealing is an essential legal right for creators. 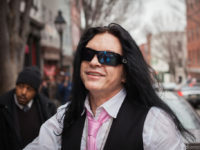 The Room is a well-known film (sometimes referred to as the Citizen Kane of bad movies) that was the subject of The Disaster Artist, a film released late last year starring James Franco. In 2016, a group of documentary film makers released Room Full of Spoons, which examined the popularity of The Room.